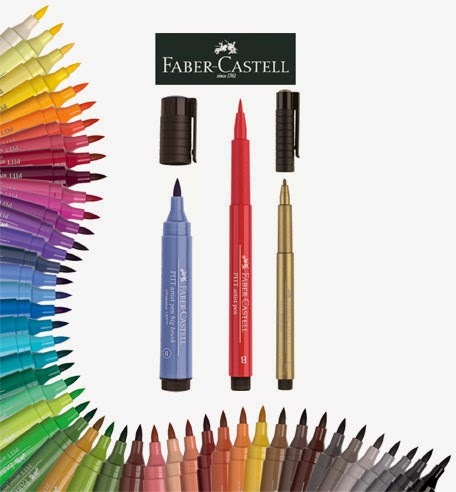 Faber-Castell PITT Artist Pens are made with high quality pigments, Faber-Castell PITT Pens have acid-free archival India ink. They are odorless, permanent, lightfast and smudge proof/ waterproof when dry. Unlike traditional markers they will not bleed through paper. Use on canvas, fabric, wood and ceramics. The brush nib can be refreshed by simply taking it out and turning it around! Click to enjoy artist Gwyneth Leech and Faber-Castell Pitt Pens and much more!